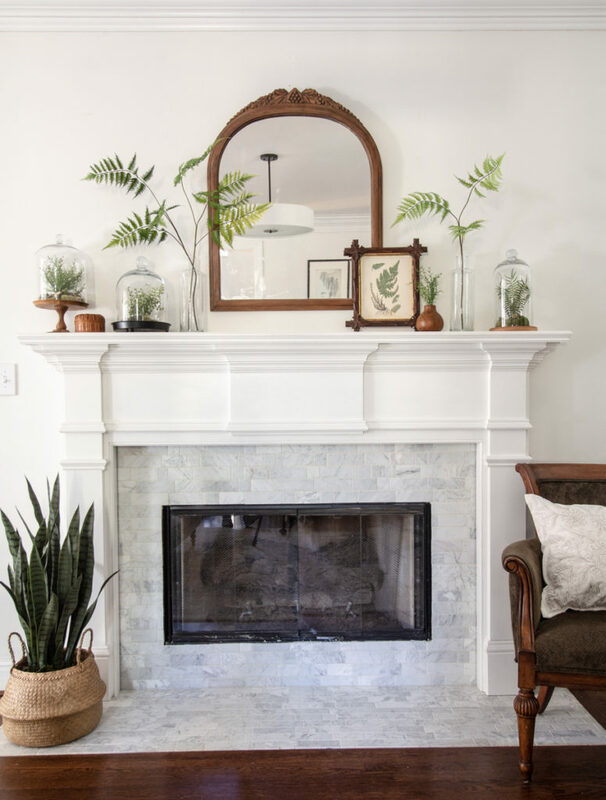 After a long and dreary winter, I wanted to create a spring mantle that celebrates all things green and beautiful with a relaxed botanical vibe for my Seasonal Simplicity Mantle/Vingette Hop. 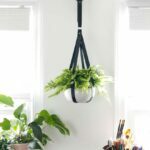 Be sure not to miss these talented blogger spring inspiration linked below. 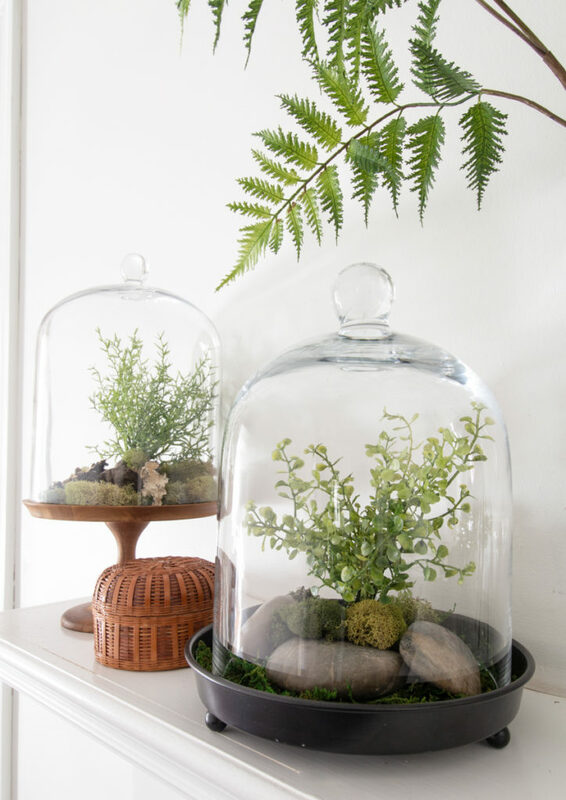 I have collected these cloches over the last few years and thought gathering them together here and making faux terrariums would create the fresh look for spring I was hoping for. 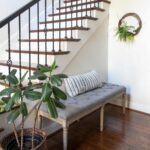 But part of developing your plant skills is learning how much light each room in your house receives and what plants will grow in that environment. 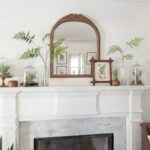 In our living room, the mantle receives only minimal filtered light, so only a very low light plant could potentially survive here. 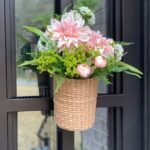 Even though I am not always a fan of faux arrangements in general, I love the way they came out and I especially love that I won’t have to worry about them, ever. The best part is they literally took just minutes to make! 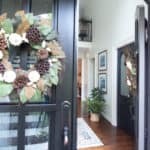 I even created a short video of the process to prove to you how easy it is! 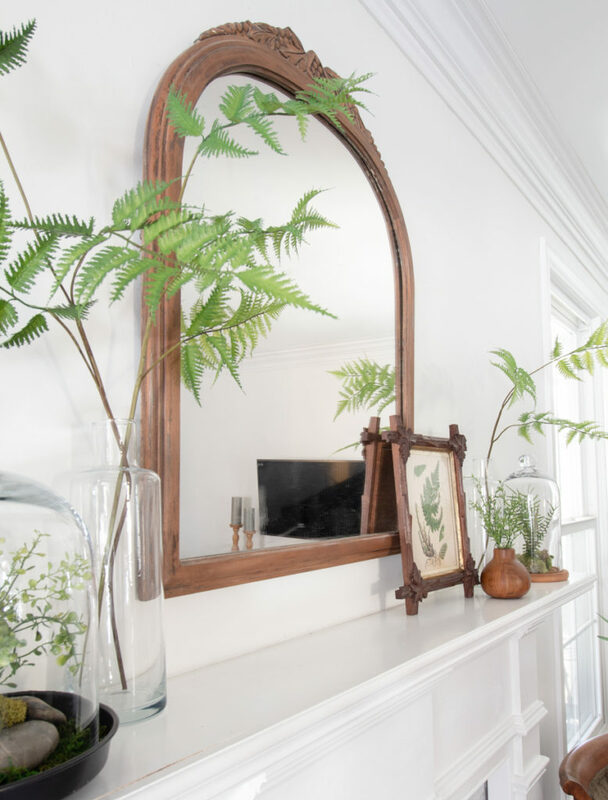 All of the greenery I used was from Hobby Lobby, even the tall ferns in the vases. The vases were from my local Wal-Mart. 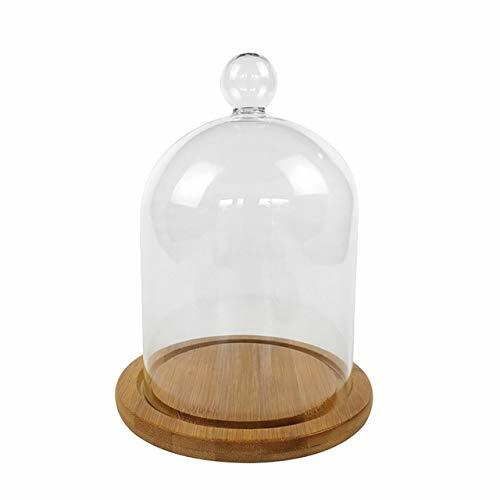 I know cloches can be a little tricky to find sometimes so I rounded up a few I found on Amazon. Of course, @readyfreddiedoodle fans will appreciate this photo. 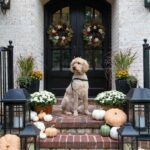 Give him a follow if you are into puppies and all his Irish Doodle cuteness! 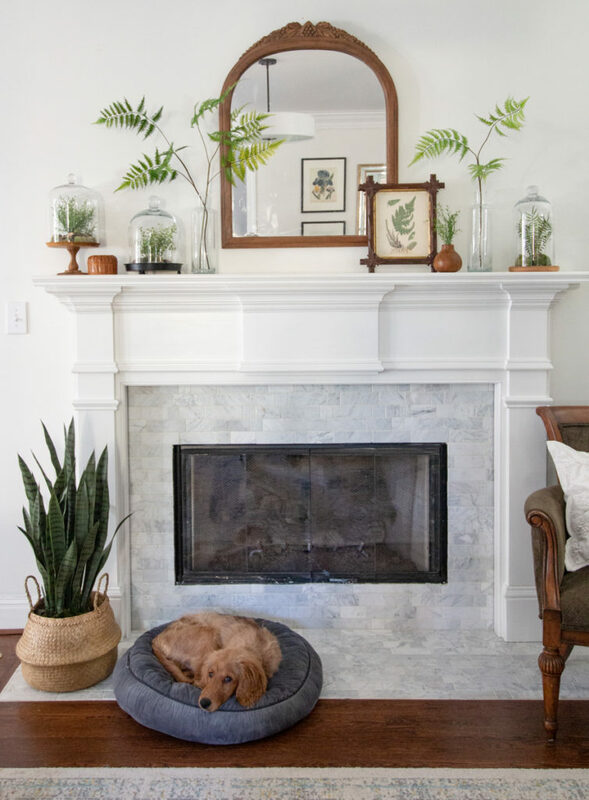 What a gorgeous mantel. 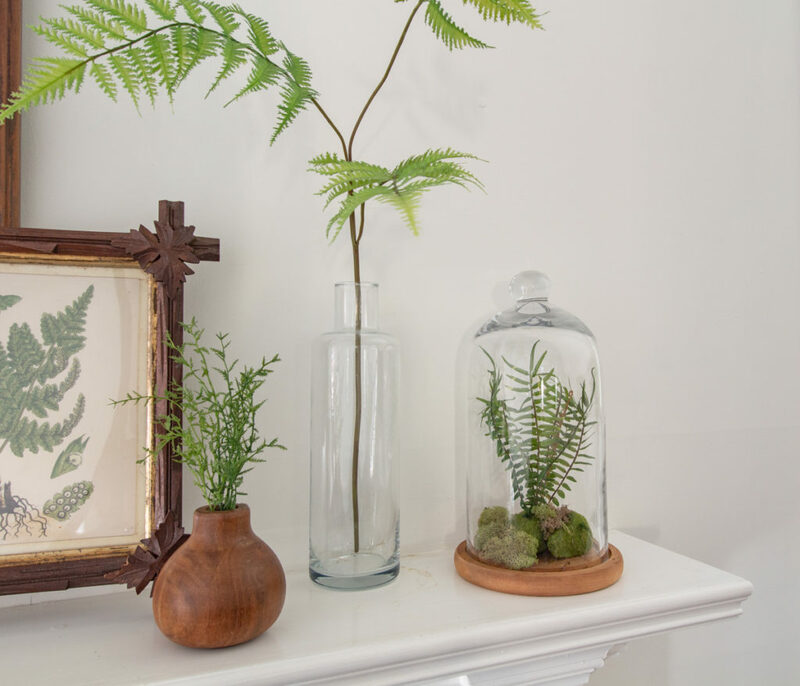 I love those little terrariums and the ferns and print. So pretty! I pinned it to my Spring board. 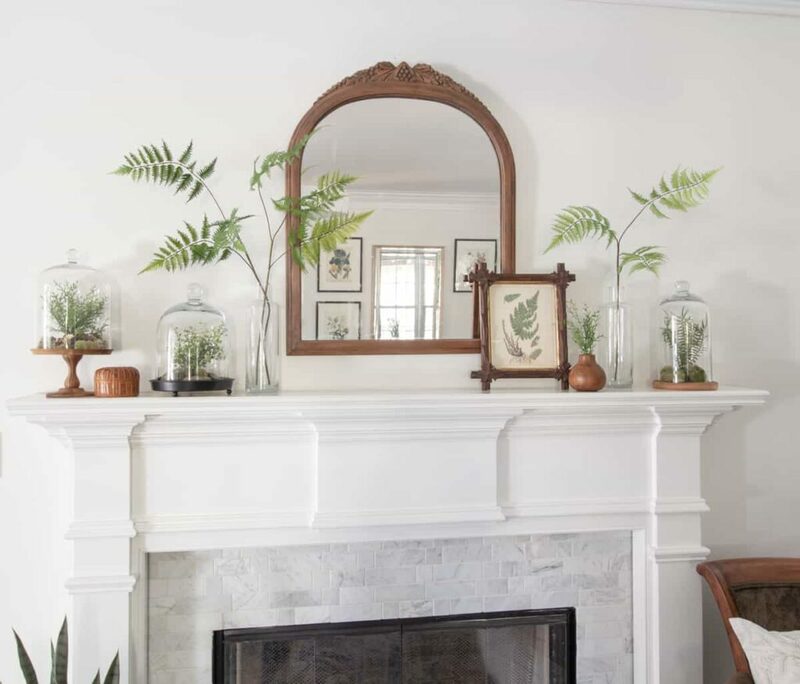 Your spring mantel is perfection. 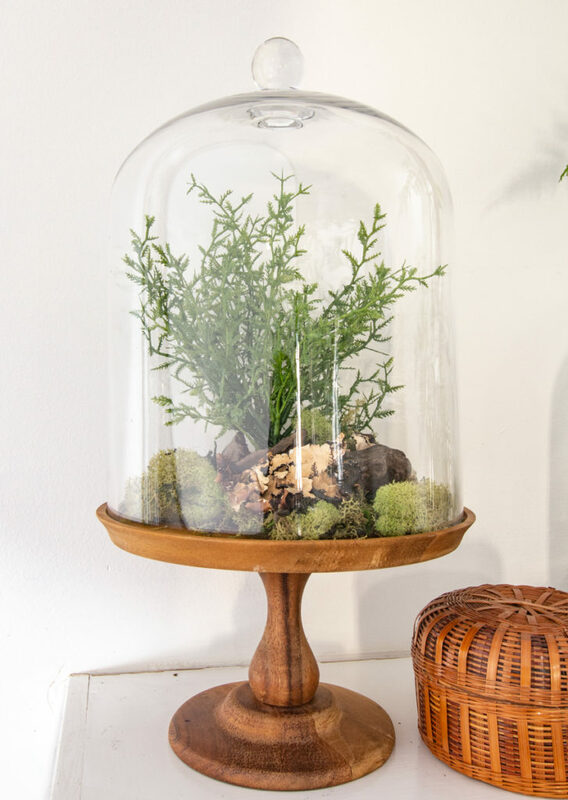 I love your faux terrariums. 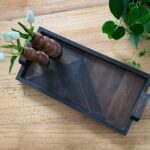 I have a black thumb so something like this would be perfect for my home. 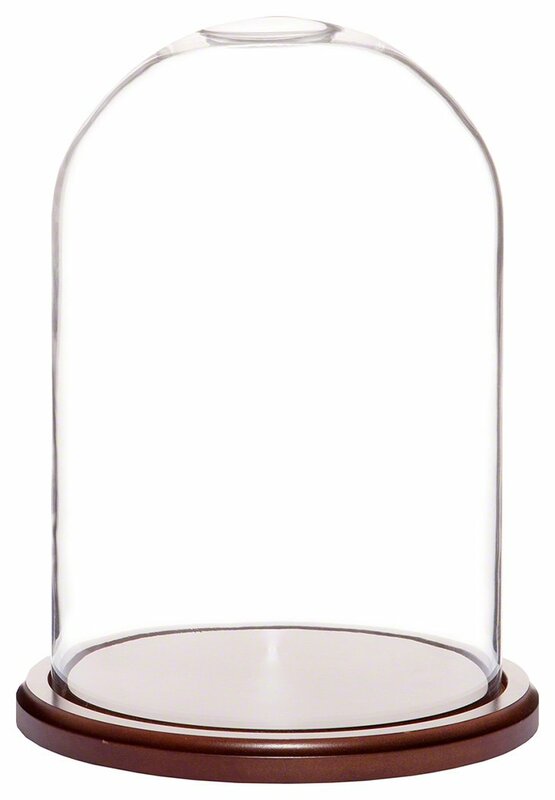 I also need to watch closer for pretty cloches. I have a few, but not enough to manage a real “collection” for the mantel. 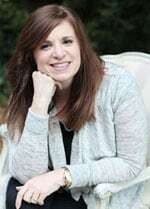 Love this so much Leslie! 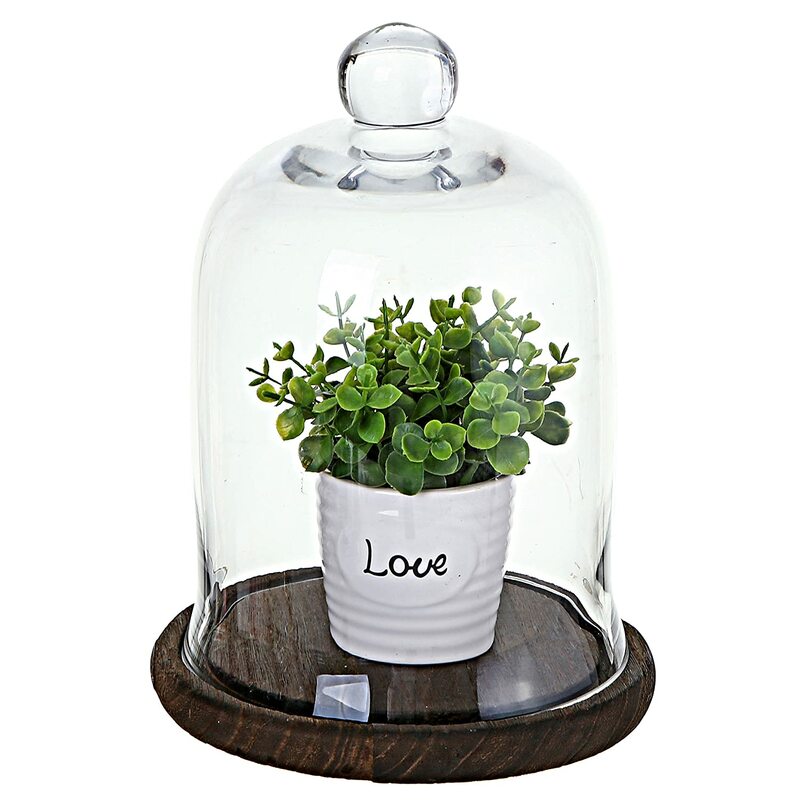 All the fresh green of the plants and those adorable cloches – it’s perfect for spring!